Porsche is the maker of many world-famous sports cars. The company was founded in 1931, but before that Ferdinand Porsche was already an important figure in the automotive sector. If you own a Porsche, it may be necessary to replace the rear window. For example, a collision or vandalism can break it down into thousands of pieces. 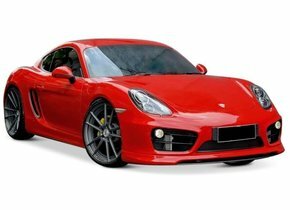 Of course, which rear window is needed differs per model, but for the most common Porsche models you can easily order the appropriate replacing car window from us. The after market car windows that can be purchased here have a considerably better price than those from the brand dealers. We explain below when the Porsche rear window replacement will be needed and how this can be done at low cost. First of all we will discuss the interesting history of the German car brand and we will tell you about the fascinating person Ferdinand Porsche. Among other things, he is responsible for the design of one of the most iconic cars of all time. The key figure in the establishment of the final car brand Porsche is the in 1875 born Ferdinand Porsche. whose death later became the reason for the First World War. Ferdinand Porsche goes to Mercedes and later founder of Volkswagen. Porsche was attracted to Austro-Daimler. one of the fastest cars of the time. Due to disagreement, he left Daimler-Benz not much later. In 1931 he founded his own company. As the great depression at that time caused acute shortages, Ferdinand Porsche was not able to set up his own car factory. Instead, he started a car consultancy in Stuttgart. Among other things, he designed a car for what is now Audi, but only became really important because of his contacts with the national socialist party of Adolf Hitler. Hitler wanted to have a car made for the people, the Volkswagen, and saw Ferdinand Porsche as the ideal designer. The car that Porsche designed for this purpose was the Volkswagen Beetle, also called the Kever in the Netherlands. This car was and still is an iconic model that was sold millions of times not only in Germany, but also across all of Europe. were arrested and detained after the Second World War. They were members of the Nazi party and were also involved in the SS. Ferdinand Porsche also had a large share in the development of various tanks and long-range missiles for Hitler's army. His son Ferry was released fairly quickly and kept the company Porsche alive. He was even responsible for the first car of the brand. The Porsche 356 appeared in 1948 and can be seen as the actual beginning of Porsche as its own car brand. Partly because VW sold a small share of the profit for every Volkswagen Beetle sold, Porsche could grow into the large company it is today. However, Ferdinand Porsche did not experience this anymore. He died in 1951.
were nice successes, but the real breakthrough followed with the introduction of the Porsche 911 in 1963. This model is still in production today and is certainly one of the most famous and beloved sports cars ever. 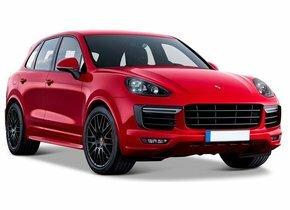 In 2010 Porsche and Volkswagen merged into the Volkswagen Group. When and how should the rear window replacement of the Porsche be done? All windscreens of cars are made of so-called laminated glass. This is so called because this glass consists of two layers with a layer of PVB film in between. When the windscreen has a hard impact, it will not break down into thousands of pieces due to the used materials and the production method, but only crack or tear. As a result, it is sometimes still possible to repair a car window. Therefore, quickly engage a automotive glass expert when you need to replace the rear window of the Porsche. At a brand dealer, the prices for a Porsche rear window replacement are higher than necessary. This is because only authorised brand dealers may replace a rear window of the Porsche with a car window with a brand logo. This monopoly ensures that you as a car owner do not get the best price. By ordering after market car windows from us, you can be sure that you will. This automotive glass is of exactly the same high quality and is brand new, so certainly more reliable than a second hand car window, but due to the lack of a brand logo the costs are much lower than with a brand dealer. Replacing the Porsche rear window is easy to do yourself with the right knowledge and tools, but if you want the best result with certainty, you can call in our certified partners. They will even replace the rear window of the Porsche on location and do so at competitive rates. Order the rear window for your Porsche model today, so you can quickly get back on the road safely with your beautiful car!